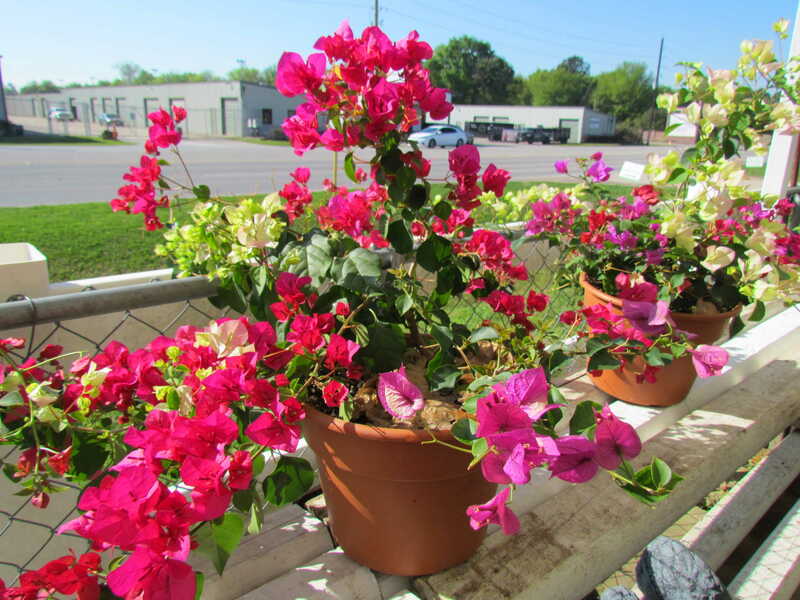 Bougainvilleas have arrived at J&J Nursery! 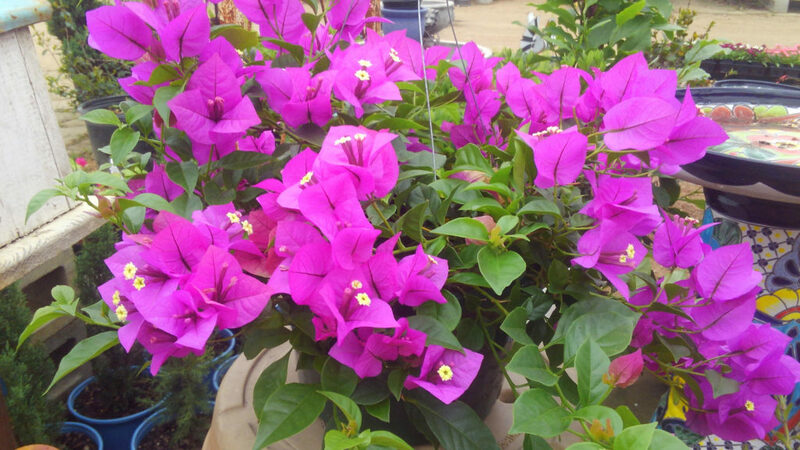 Hop on over to J&J Nursery and get bougainvillea hanging baskets! They’re here just in time to brighten up your home for Easter! 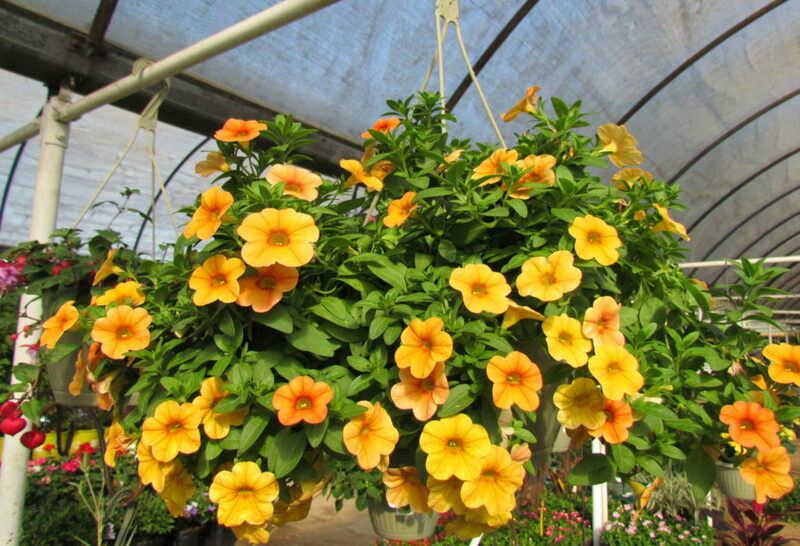 The hanging baskets come in many beautiful colors. 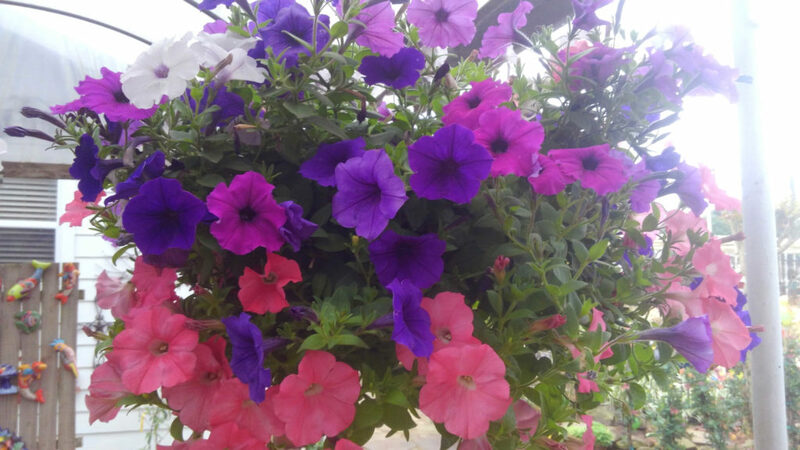 Some baskets have mixed colors for an eye-catching look! 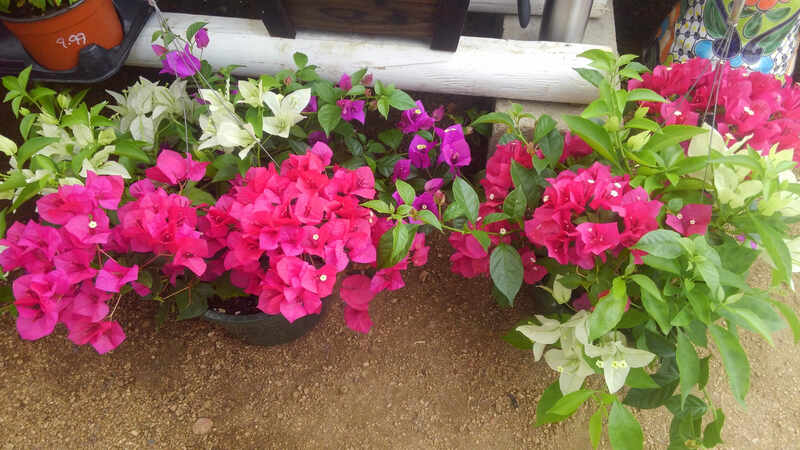 Mixed color bougainvillea hanging baskets! Mixed color bougainvillea hanging basket! 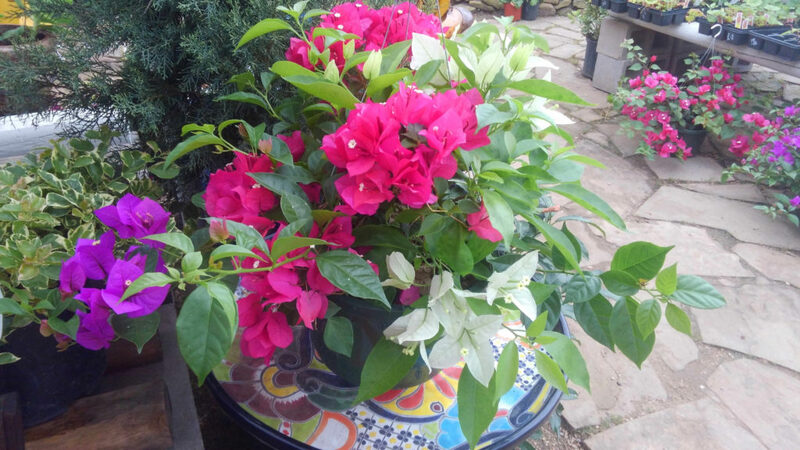 This entry was posted in 77388, J&J's Nursery, Plants for Hot Sun, Spring, The Woodlands, Tomball, TX and tagged bougainvillea hanging baskets spring tx, Spring TX, The Woodlands TX, Tomball TX on April 17, 2019 by jjsnursery. 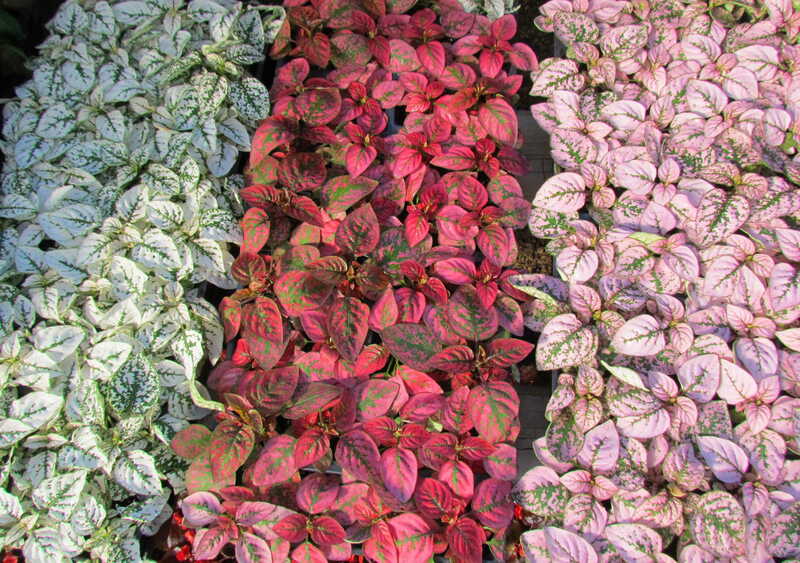 New Plants at JJs Nursery! 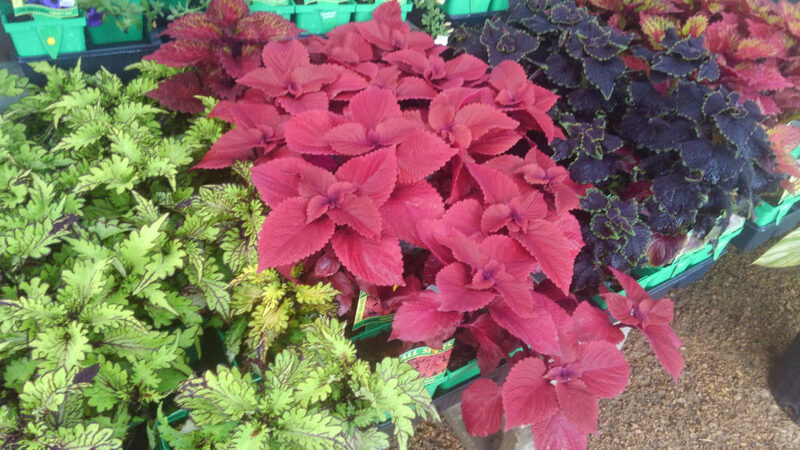 This entry was posted in 77388, Flowers, J&J's Nursery, Spring, The Woodlands, Tomball, TX and tagged Coleus, hibiscus, houston tx, petunias, portulaca, Spring TX, The Woodlands TX, Tomball TX on March 30, 2019 by jjsnursery. 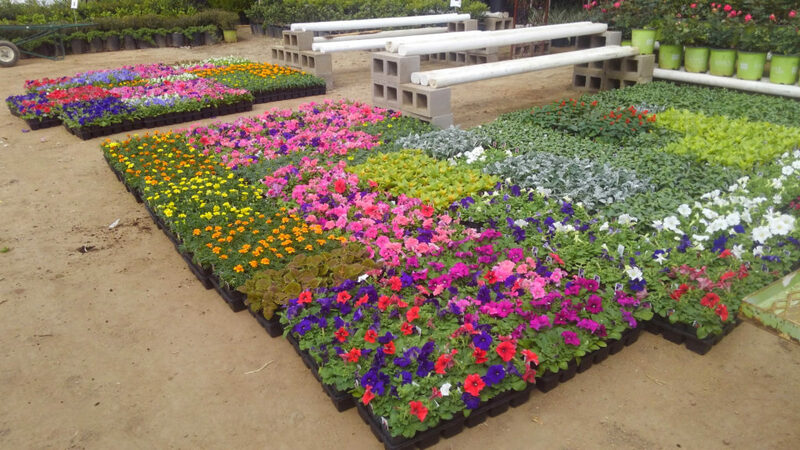 Flowers and Plants Arriving at J&J! Beautiful ground cover! Red, white and pink Splash! 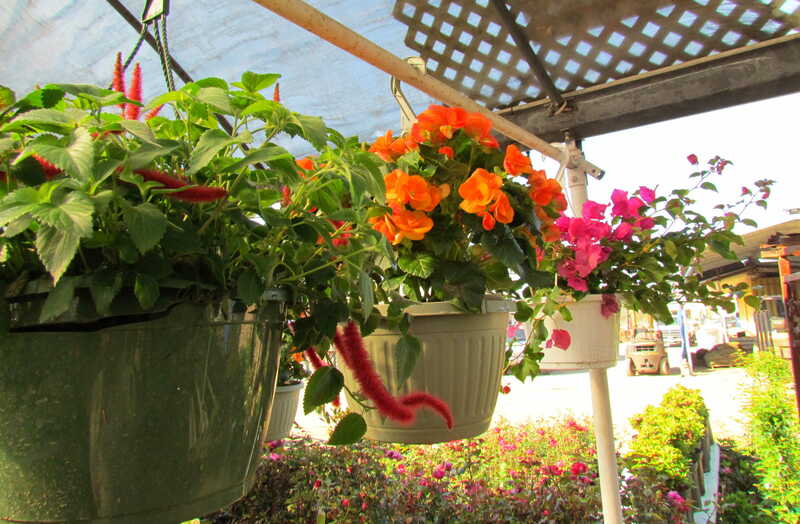 A large variety of hanging baskets! 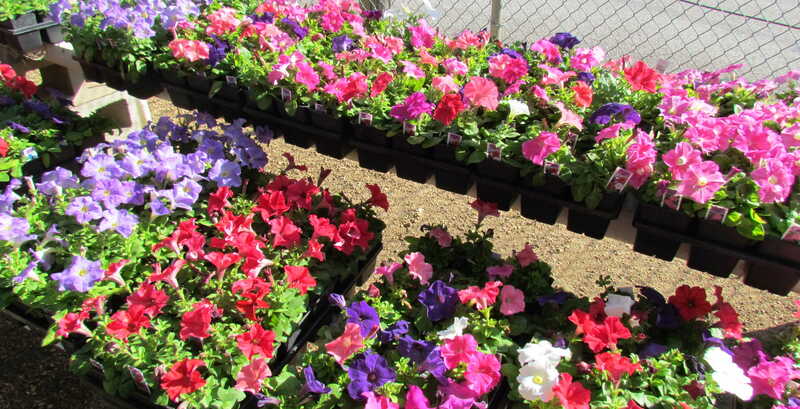 Colorful and bright petunia flats to brighten up any front yard or work site! 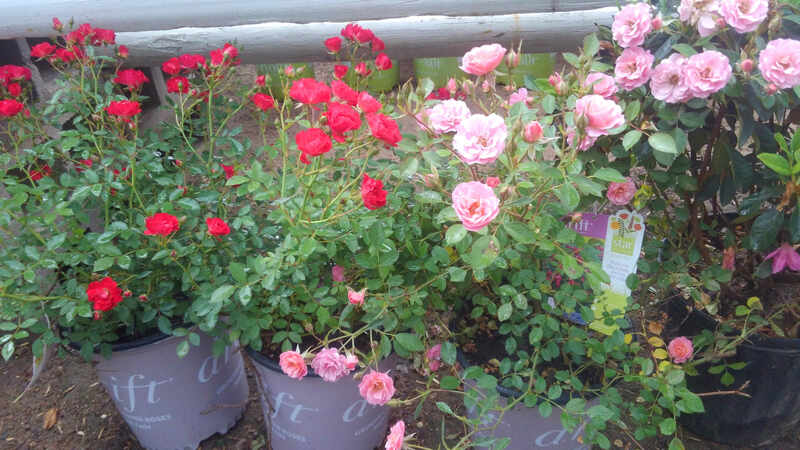 Knockout roses to bloom nearly all year long! 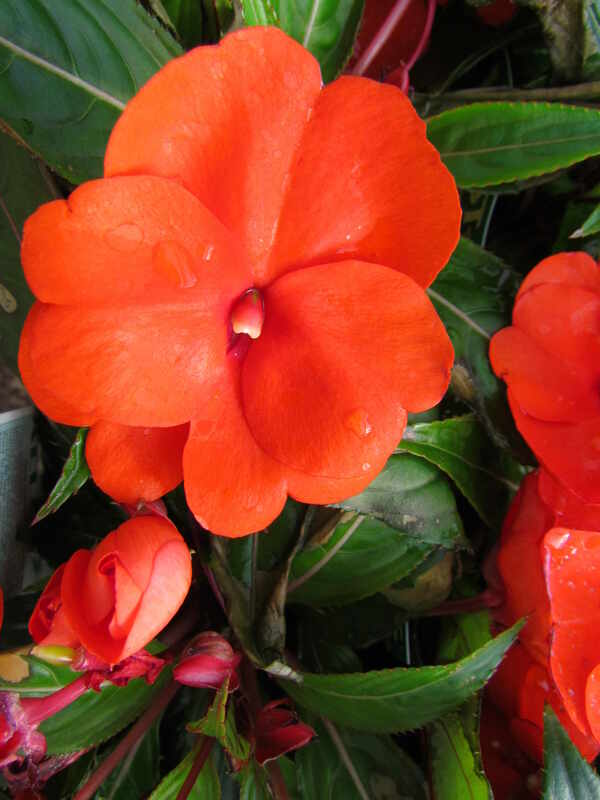 Eye catching sunpatiens! Beautiful in hot weather! Vincas to bloom all summer long! 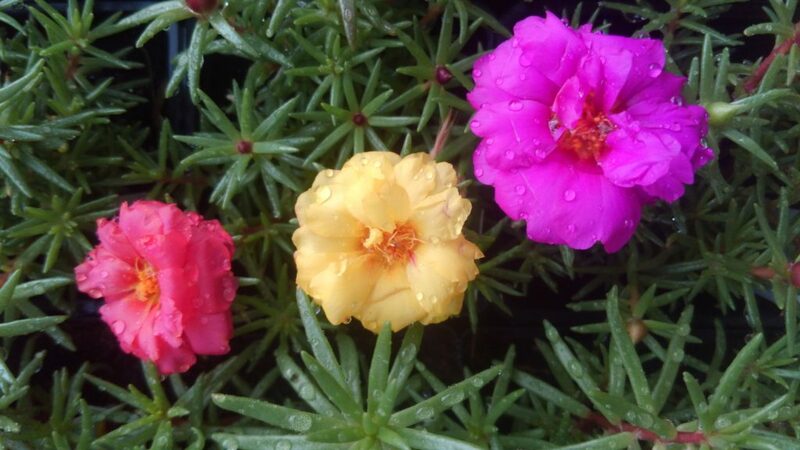 This entry was posted in 77388, Flowers, J&J's Nursery, Plants, Spring, The Woodlands, Tomball, TX and tagged azaleas, flowers spring tx, flowers the woodlands tx, flowers tomball tx, ground cover, Hanging Baskets, petunias, plants spring tx, plants the woodlands tx, plants tomball tx, sunpatiens, Vincas on March 20, 2019 by jjsnursery. “3 Way Soil Meter” for Soil Testing! 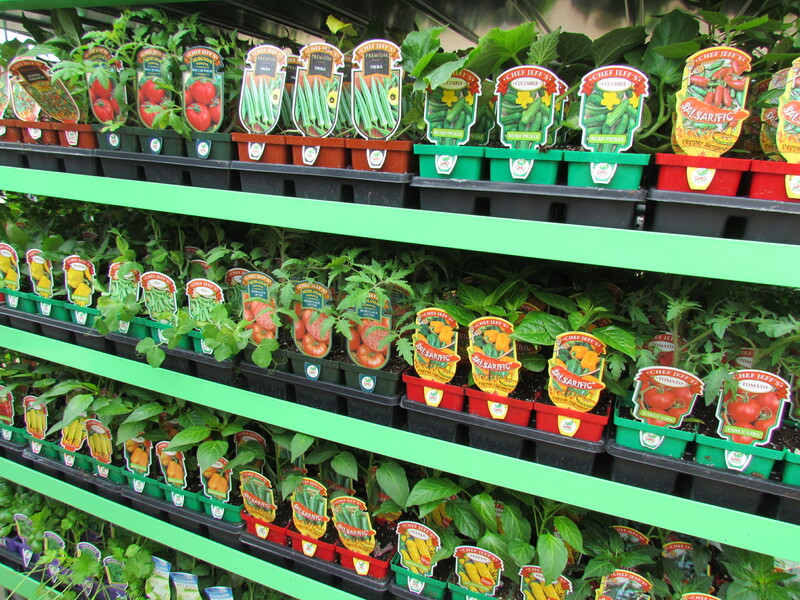 All things grow with love and one of the newest products at J&J Nursery for do-it-yourself gardeners. It is now available! The “3 Way Soil Meter” will help you grow a better garden and landscape! For gardeners who know all the dirt, you know soil analysis is key to a beautiful garden and landscape! The soil meter will tell you the sunlight, water and the pH levels in the dirt. Then compare the meter’s reading to your plant’s needs and drop by J&J if you need to get any fertilizers or other items. For example, roses need acidic soil between pH 5.5 to 6. 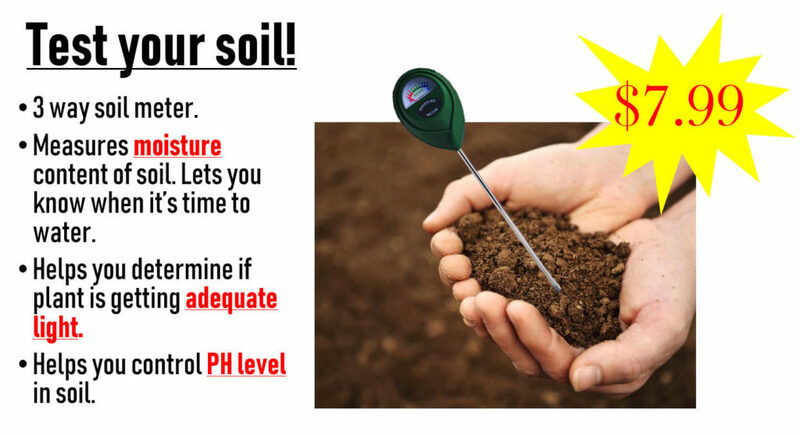 A meter will let you know if your soil has too little or too much acidity! 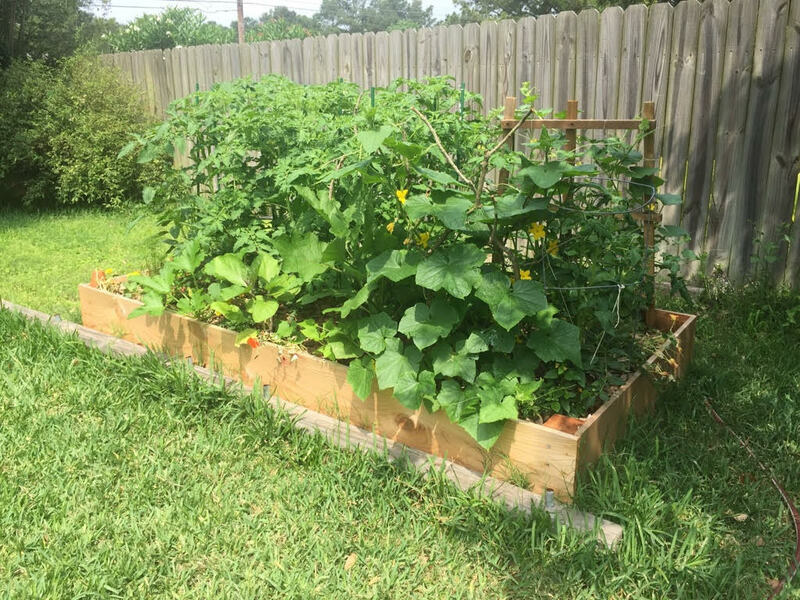 This entry was posted in 77388, Fertilizer, Gardening Tools, J&J's Nursery, landscaping, Lawn Care, Spring, The Woodlands, Tomball, TX and tagged 3 way soil meter, soil analysis tester, soil meter, Spring TX, The Woodlands TX, Tomball TX on March 13, 2019 by jjsnursery. Many new flower flats of petunia, begonias and more have arrived at J&J Nursery! 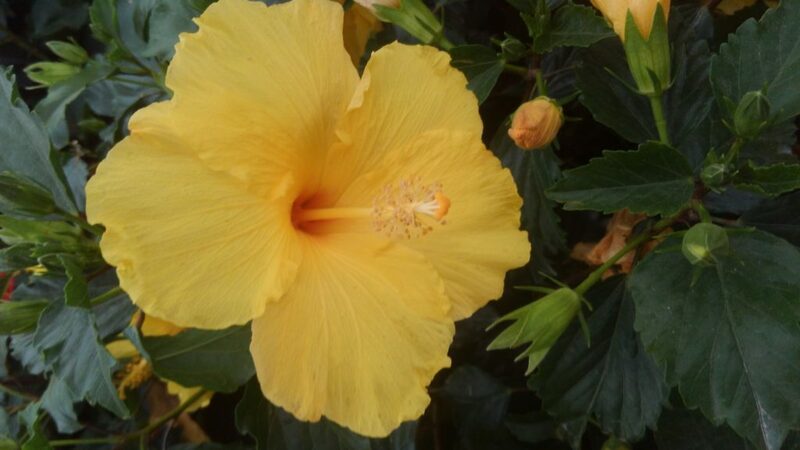 Come by and see why our flowers are petals above the rest. 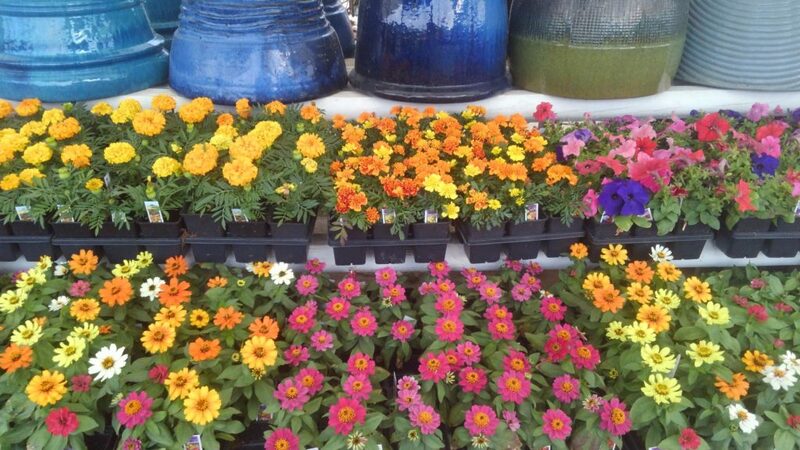 New flats of flowers at J&J Nursery! This entry was posted in 77388, Flowers, J&J's Nursery, Planting Flower Beds, Plants, Spring, The Woodlands, Tomball, TX and tagged begonia spring tx, flower flats spring tx, flower flats the woodlands tx, flower flats tomball tx, marigold spring tx, petunia spring tx on March 7, 2019 by jjsnursery. Organic Compost & Potting Soil in Bags! 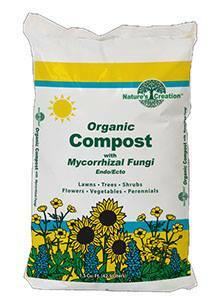 Organic Compost & Potting Soil with Mycorrhizal Fungi sold in bags! J&J Nursery has plenty of organic bagged goods for your vegetable garden and landscaping! We havemcompost and potting soil from Natures Creation! 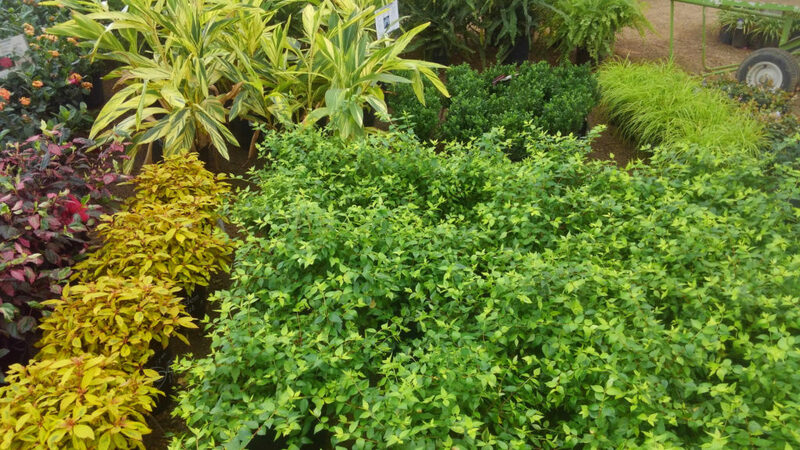 Drop by and get your and prepare your beds before you buy your flowers, vegetables and herbs. Natures Creation Organic Compost with Mycorrhizal Fungi! Great as a top dressing for the lawn. 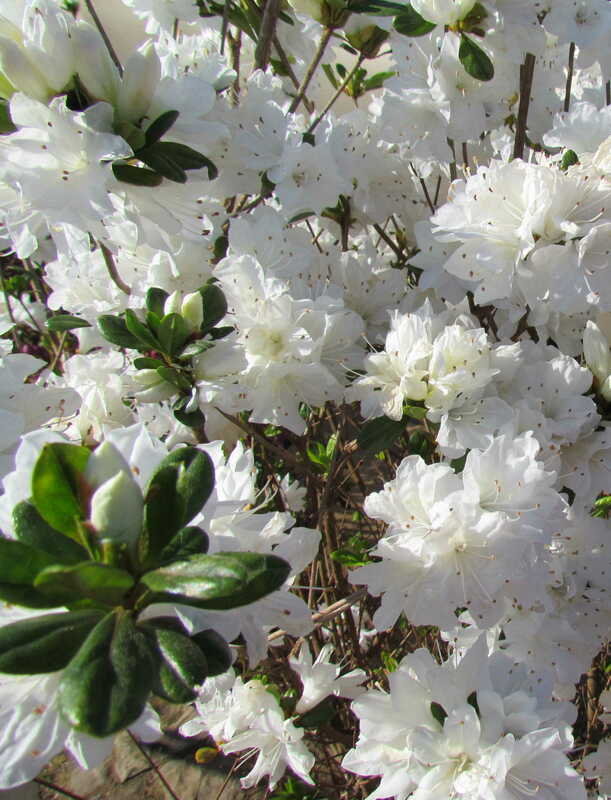 Mulch around trees and shrubs with compost. Compost helps loosen clay soils and improve moisture holding capacity of sandy soils. Perfect replacement for Canadian sphagnum peat. 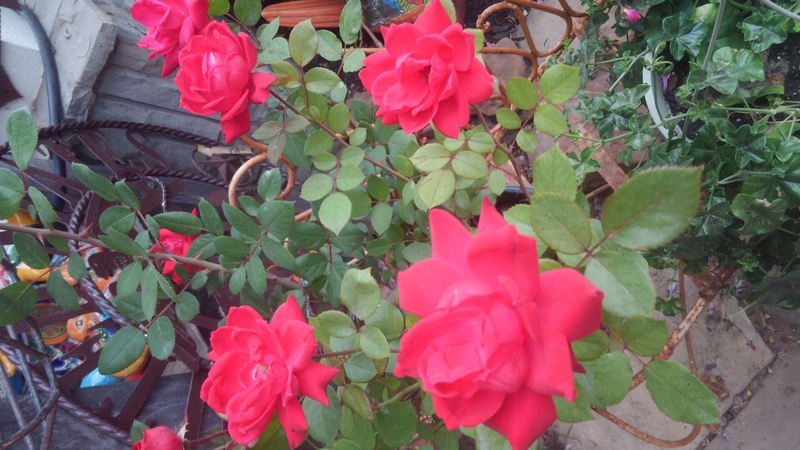 Great for Sod, Gardens, Vegetables & Roses — with Nature’s Creation. 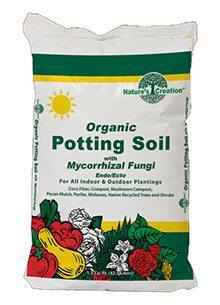 Natures Creation Organic Potting Soil with Mycorrhizal Fungi! Contains coco fibers which resist clumping and add porosity. Why is Mycorrhizal Fungi so important? See this video and find out! This entry was posted in 77388, J&J's Nursery, Mycorrhizal Fungi, mycorrhizal fungi spring tx, organic, Spring, The Woodlands, Tomball, TX and tagged mycorrhizal fungi spring tx, mycorrhizal fungi the woodlands tx, mycorrhizal fungi tomball tx, organic compost bags, organic potting soil bags, Spring TX, The Woodlands TX, Tomball TX on February 14, 2019 by jjsnursery. Onyx Stone now at J&J Nursery! 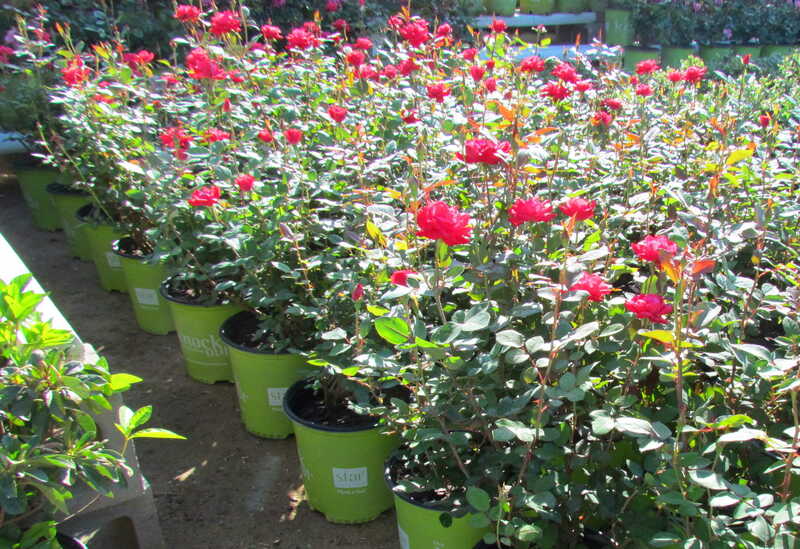 J&J Nursery is excited to offer a new variety of stone for our customers! Onyx is available in many stunning shades of brown and greys making it suitable for many landscapes whether modern or rustic! It’s a beautiful addition to any zen garden as the main part or as an accent. Compliment it with beautiful boxwoods and junipers to create a peaceful oasis from the city! Or, add some sand and mexico beach pebbles! Add some excitement to your aquarium! Turn it into an underwater paradise with these beautiful brown and grey colors. Building a zen garden? Get onyx stone! Onyx stone with cooler, grey coloring. Stop by to see our extensive selection today. Pick up a few to take or get it delivered to your home or business! 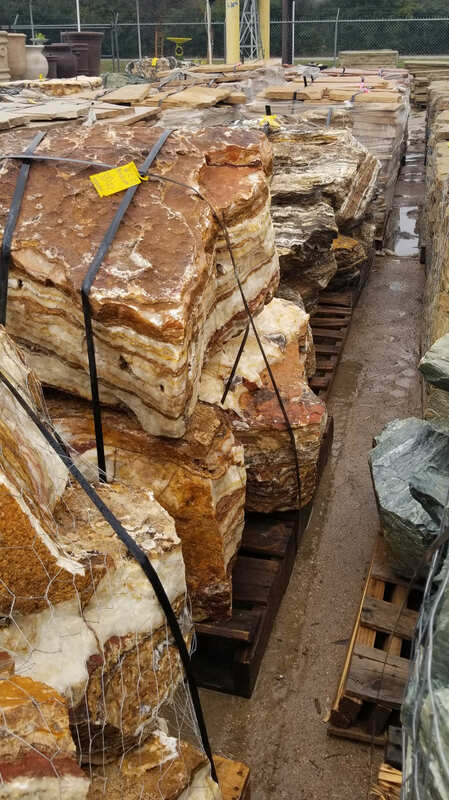 Grey onyx boulders for your yard and aquarium! This entry was posted in 77388, Fish Aquarium, J&J's Nursery, landscaping, Onyx, Spring, Stone, The Woodlands, Tomball, TX, Zen Garden and tagged aquarium stone tomball tx, onyx stone the woodlands tx, onyx stone tomball tx, onyxstonespringtx, Stone, stone for aquarium spring tx the woodlands tx, stone zen garden spring tx, stone zen garden tomball tx, stone zen garden woodlands tx on February 1, 2019 by jjsnursery. Get Your Freeze Blankets at J&J Nursery! FREEZE WARNING! The freeze is coming are you prepared? 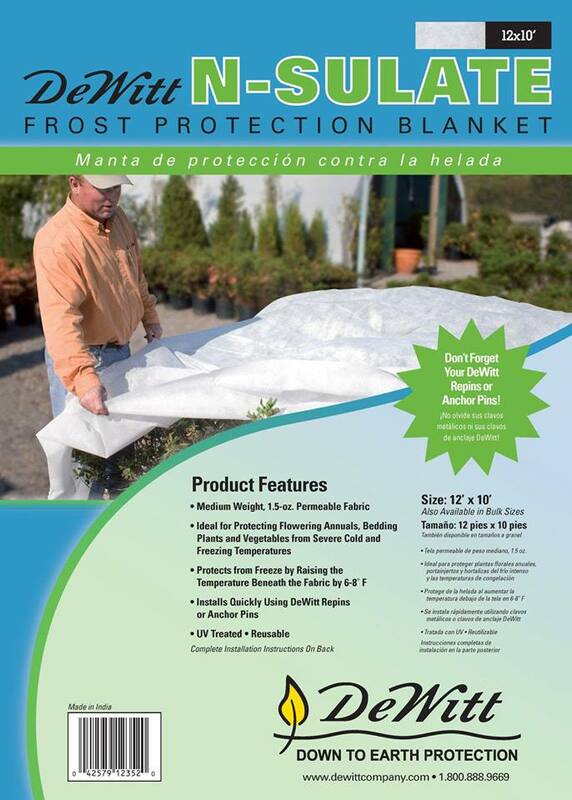 Protect your PLANTS with N-Sulate Freeze Blanket available at J & J Nursery & Madison Gardens Nursery! 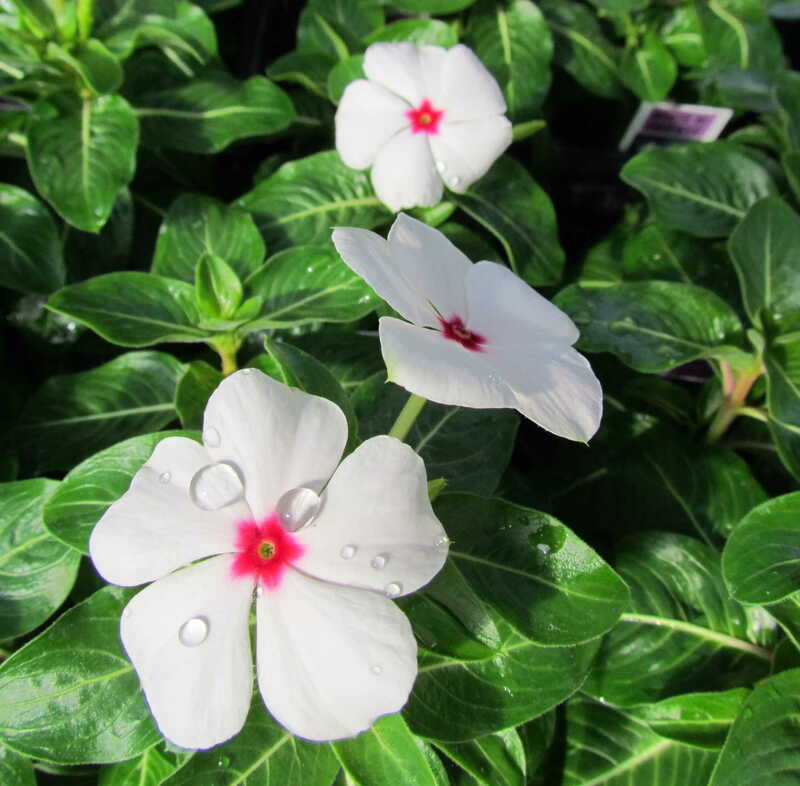 N-Sulate is a medium weight, permeable, UV-treated fabric designed to protect flowering annuals, bedding plants and vegetables from the severe cold and freezing temperatures. This fabric installs easily and is reusable. Don’t forget to protect your 4 P’s (People, Pets, Plants, & Pipes)! This entry was posted in 77388, Freeze Cloth, Freezing Weather Plant Tips, J&J's Nursery, Spring, The Woodlands, Tomball, TX, Winter Plant Protection and tagged freeze blanket spring tx, freeze blanket the woodlands tx, freeze blanket tomball tx, freeze cloth spring tx, freeze cloth the woodlands tx, freeze cloth tomball tx, winter plant protection spring tx, winter plant protection tomball tx on January 18, 2019 by jjsnursery.